Scouts have the opportunity to earn this award if they attend summer day camp or Webelos extended and complete the requirements for their rank. It can be earned each year if the scout meets all the requirements for their current rank. The first time it is earned the scout gets a patch that is placed on the right shirt pocket flap. Subsequent years the scout earns a pin to place on the patch. Complete the Backyard jungle adventure from the Tiger handbook, and complete four of the outdoor activities listed below. Complete the Paws on the Path adventure from the Wolf handbook, and complete five of the outdoor activities listed below. Complete the Bear Necessities adventure from the Bear handbook, and complete six of the outdoor activities listed below. Complete the Webelos Walkabout adventure from the Webelos handbook, and complete seven of the outdoor activities listed below. 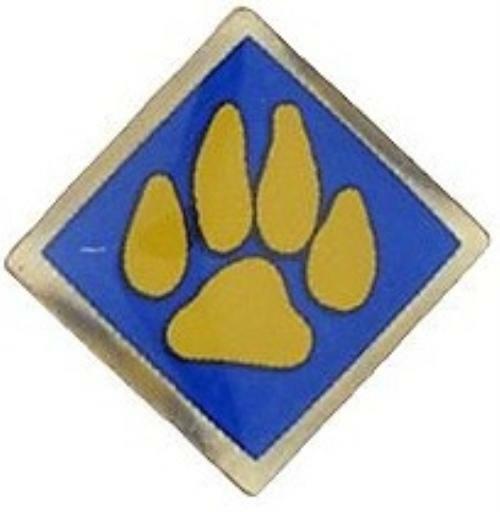 Wolf Track Pin for subsequent years.